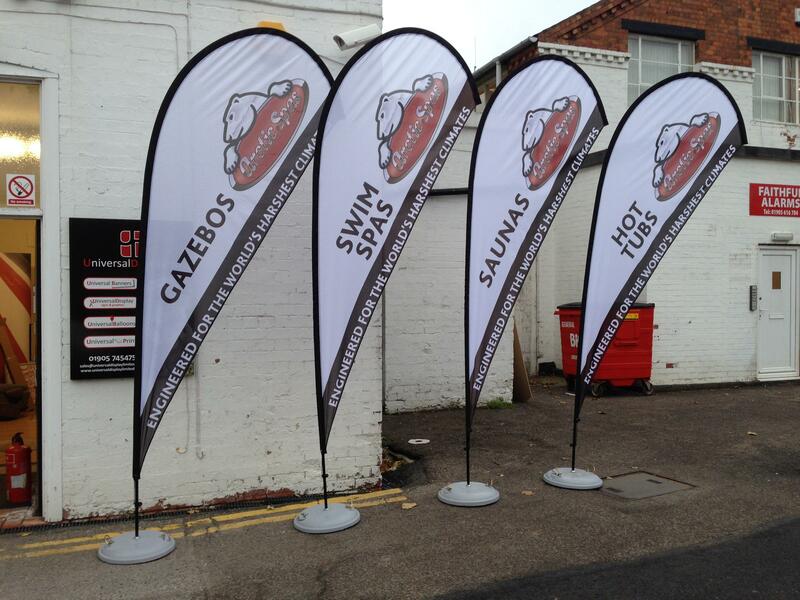 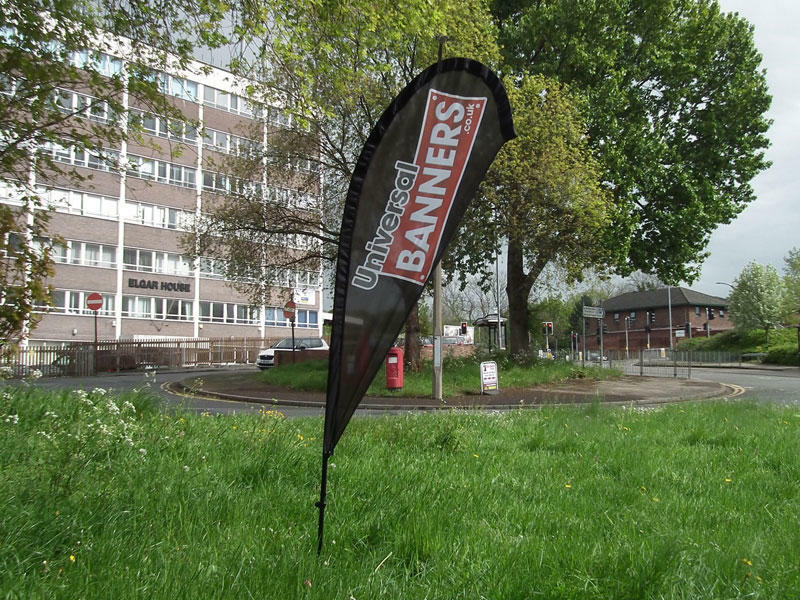 The Universal Banners teardrop flags are manufactured to the highest standard from 100% polyester material. 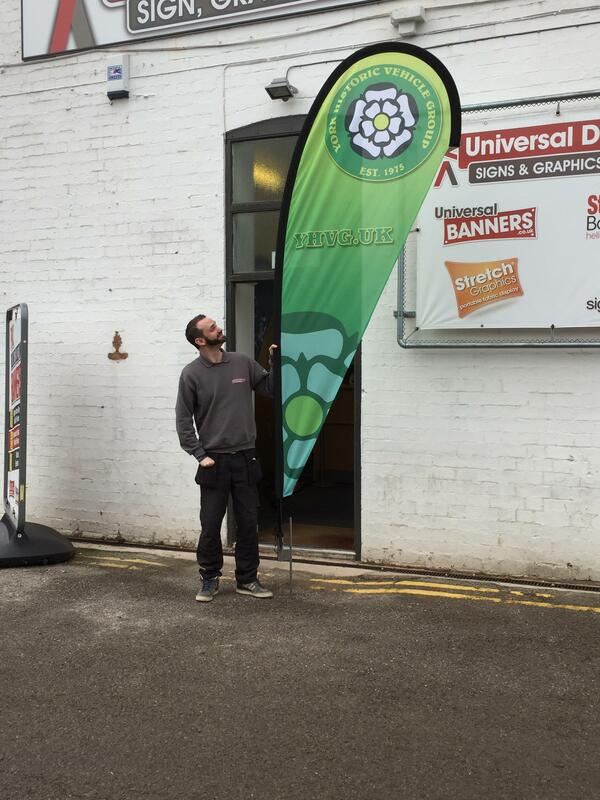 Fitting neatly into the supplied transport bag, the Universal banners teardrop flag gives impressive results for such compact design. 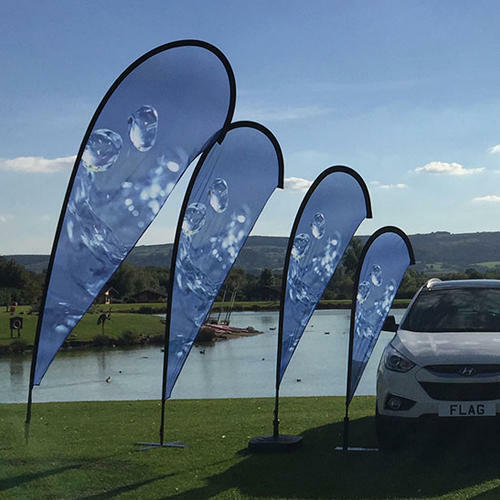 Components consist of a strong easy assemble pole system, a teardrop and feather shape flags that all come in a stylish transport bag.